In the market for an ice cream maker?? If you have a KitchenAid mixer, you can get a great deal on the ice cream maker attachment on Amazon! 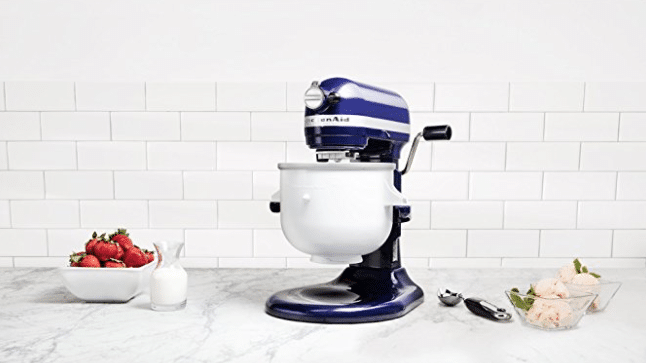 Amazon has this highly rated, KitchenAid ice cream making attachment marked down to just $59 on Amazon! I’ve been tracking this price for awhile and this is a great deal! This retails for $100 on KitchenAids site, so that’s $40 off the retail price! This unit is made in the USA and can create ice cream, sorbet or gelato in just 20-30 minutes. Yum!